Tube is 6" high, 1.25" diam. Standard ES base, 2 BA screw terminal on trigger electrode. 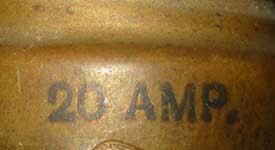 No markings except for "20 AMP." on the base. Triggered spark gaps are used as high-voltage, high-current switches. A high voltage pulse is applied to the trigger electrode to initiate a glow discharge. This provides a current path for the formation of an arc discharge betwee the two main electrodes. 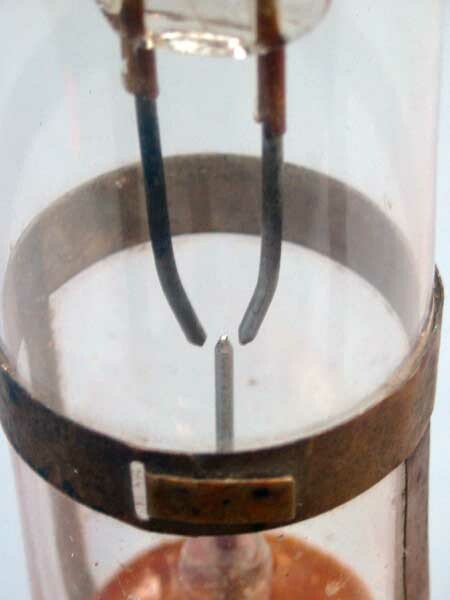 The tube resistance then drops from open-circuit to a few mΩ. See also. Mike's Electric Stuff / Spark Gaps.